Marking the entry point into Canon’s Super telephoto lenses, the EF300mm f/2.8L IS USM has always been referenced by Canon as their fastest focusing lens and offering the best image quality available at this focal length. Now replaced by a newer version, this test allows us to see just how good this lens is and also what improvements Canon have made in the intervening 12 years. Despite the weight of this lens, the inclusion of a 2-stop Image Stabilizer has made it a portable, and crucially, hand-holdable lens suitable to a wide range of uses. When attached to an APS-C camera the equivalent focal length is 480mm giving even more reach for distant or timid wildlife subjects. In terms of outright performance, the EF300mm f/2.8L IS USM lens from Canon is right at the top of the tree. Along with the Mark II version, it ranks as the best performing long focal length lens ever tested by DxOMark. When mated to an EOS 5D Mark II, it ranks as one of the top five sharpest lenses, only beaten by its Mark II version and much shorter focal length lenses. In terms of resolution across the frame, the lens is very homogenous. In other words there is no real drop off from the centre to the edges of the frame. No matter what aperture you choose to shoot at, be it wide-open at f/2.8 or stopped down to f/11 the lens performs almost identically. It’s only when the aperture is really closed down, beyond f/11, that the quality can start to drop of. Even so, by f/32, although the quality has fallen, the sharpness is still even right across the frame. Lens vignetting, while not perfect, is also well controlled. At the maximum aperture there is a slight tendency to vignette at the edges, showing a drop of 0.3EV 40% out from the centre and -1EV at the very edges. At f/4, the vignetting is reduced further still, showing a drop of -0.3EV 84% of the way from the centre and -0.5EV at the very edges. From f/5.6 onwards, there is no measurable vignetting anywhere across the frame. The other major areas of lens performance also produce very good results. At every aperture, Chromatic aberration is very well controlled leading to almost completely homogenous field maps right across the frame – put simply, there is none that is appreciably measurable or that would be strongly visible in a final image. Equally, the distortion is also very well controlled. Long lenses are usually susceptible to pin cushion distortion where straight lines will appear to curve inwards slightly. However, there is no such distortion here, even out to the very edges of the frame. With the introduction, in 2010, of the Mark II EF300mm f/2.8L IS USM, Canon created a problem – if you have the Mk I version of the lens, is it worth upgrading? Equally, if you are looking to buy should you pick up a cheaper Mk I or the more expensive Mk II? 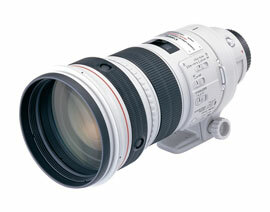 And finally, is f/2.8 really worth it when there is also the EF300mm f/4L IS USM lens available substantially cheaper? Putting them side-by-side on an EOS 5D Mark II, it is easy to see where the sensible money should be spent. Looking first at the overall score, it seems that price is an indicator of performance – the Mk II version scores 28.5 to the MkI’s 24.8 and the 300mm f/4L’s 17.2 – all three of which are very good scores. Equally, if we look at the P-Mpix scores, the EOS 5D Mark II has a nominal score of 21 P-Mpix. Using the EF300mm f/2.8L IS II USM, the score is 20.5P-Mpix so barely any reduction in quality, with the EF300mm f/2.8L IS USM it’s 17.2P-Mpix and with the EF300mm f/4L IS USM, it drops to 12.8 P-Mpix. Clearly, in terms of resolution, the two f/2.8 lenses win out. Looking at the field map, both f/2.8 lenses show exceptionally good resolution across the frame, with the Mk II version just beating it’s older sibling. With the aperture set to f/4, the EF300mm f/4L IS USM puts in a good performance, but it can’t match the two more expensive models. However, once the aperture is stopped down to f/5.6, the differences between the three lenses are less apparent. The EF300mm f/2.8L IS II USM is still the best, showing the best edge-to-edge resolution, however between the MkI lens and the f/4L version, there is little difference. Once the aperture closes down to f/11, the differences have all but gone, with all three lenses putting in equally good scores. It’s almost exactly the same story with the vignetting scores. The EF300mm f/2.8L IS II USM is the best of the trio, showing the least vignetting at both f/2.8 and f/4. Once again though, from f/5.6 all the way through to f/32, all three lenses show no vignetting at all. As with the Mark I EF300mm f/2.8L IS USM, both the Mark II and the EF300mm f/4L IS USM show no chromatic aberration or distortion either. In reality, both f/2.8 lenses are exceptional performers and the f/4 model is not that far behind given the price differential. Attached to the APS-C sensored EOS 7D, the EF300mm f/2.8L IS USM once again puts in a strong performance, scoring a DxOMark score of 17, relative to the EOS 7D’s resolution of 18megapixels. Equally, the Pentax lens scores very well, managing 15 compared to the 16.3megapixels available on the K-5. Overall, this shows the EF300mm f/2.8L IS USM is as good as it’s made out to be, but in this comparison, the Pentax on a K-5 is not that far behind. Taking a lens launched in 1999 and testing it against more current models is always going to be an interesting exercise. Fortunately for the EF300mm f/2.8L IS USM, the test data backs up what users have known for years – it really is very good. If you’ve got one and have been considering an upgrade to the Mark II version, you will find improved optical performance, though not by much. The main benefits will be in the reduction in weight (2,550g vs 2,400g) and the improved Image Stabiliser that offers up to four stops rather than two stops. Canon also claim the AF of the Mk II version is improved. On the other hand, if you’re in the market for a 300mm lens and don’t currently own one, then your main deciding factor will be price. The EF300mm f/4L IS USM may not be quite as good as its more expensive stable-mates, but it still puts in a very respectable performance. Equally, if you can’t stretch to the cost of the latest Mk II 300mm f/2.8L, then picking up a second-hand EF300mm f/2.8L IS USM is going to offer you very similar performance, for quite a lot less money. In fact, if you don’t need the extra IS stops and the 150g weight difference is not an issue, then the older lens is probably the pick of the trio as it blends great performance with a more affordable second-hand price tag.